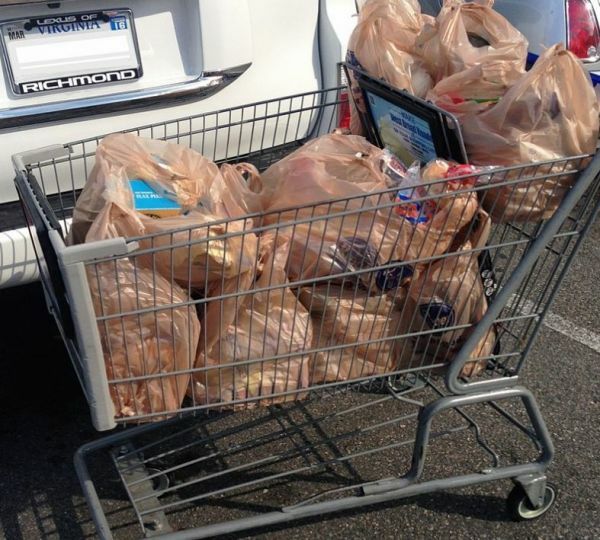 The use of plastic bags has become a standard in U.S grocery stores some 40 years ago. But we also are aware that these very same plastic bags cause unwanted problems such as clogging sewers, killing wildlife, and littering landscapes. They have been a common sight to landfills and rivers. The national movement in the U.S that seeks to get rid of them is gaining ground. However, banning plastic bags may turn out to be worse, and not better, for the environment. University of Sydney economist Rebecca Taylor studied this ironic phenomenon. The garbage bags mentioned are thicker than typical shopping bags, and therefore use more plastic. As Taylor put it, around 30 percent of the amount of plastic that got rid of returns as thicker garbage bags. In addition to this, there has been a surge in the use of paper bags (since cities have banned plastic bags), which Taylor estimates to be an additional 80 million tons of paper trash. These paper bags according to some studies are more dangerous for the environment. Hopefully there is a solution to this. Read the full story on the National Public Radio (NPR). This is actually quite an interesting and surprising study. Dr Rathje excavated a landfill in Tucson, Arizona, and discovered that newspaper - which supposed to degrade quite quickly (estimated to be around 5 months) - actually hardly degrade at all in a landfill. He found newspapers from over 50 years that were still "as fresh and as readable the day they were issued." One big issue with paper bag is actually that it's quite water-intensive to produce. Making one paper bag uses a LOT of water - about 20 times that used to make a plastic bag. I'm not ragging on the decision of may cities to discourage the usage of single-use plastic bag. It's just that some things which appears very simple on the surface can actually have surprising costs when one delve into it. Nothing is as simple as it seems. I am interested seeing the research that makes paper bags 'worse.' Paper is a renewable resource, you just plant more trees. Paper is biodegradable so it doesn't stay in the waste stream/environment for too many years. And paper is pretty easy to recycle. The down side is paper bags are bigger and heavier so they take more resources to transport from production to use. But there aren't too many other down sides to paper bags. I remember that episode. They clearly said that recycling metals was still worthwhile, which is why places will pay for metal without any outside forces. I was very disappointed a few years later to learn that whole episode was based very narrowly on a specific, single paper. The paper was being used as a horrible example of how not to do an economic approach to environmental policy ( and the people involved had no idea about the TV episode based upon it). That is not to say all of the points were wrong. I still think most glass is not worthwhile to recycle (reuse with appropriate infrastructure in a city is a different story). But issues with plastic recycling is a complex mess and can't be summed up just by the price difference of new vs. postconsumer plastic. It's never enough to have the "right" idea. You have to think through as many of the consequences as you can anticipate. Many plans look great on paper, but fail in real life. "Banning Plastic Bags Turns Out To Be Worse For the Environment"